Chiropractic is gaining its ground in the field of medicine as more and more people seek holistic measures to improve their health. Because of chiropractic’s advantages over invasive surgeries and harmful drug therapies, the government is taking notice and looking into whether expanded chiropractic coverage would reduce the burden of medical costs on Medicare. From April 2005 to March 2007, a demonstration project was mandated by Congress to determine if insurance for chiropractic care would be feasible through the Medicare program. The project was conducted in several states encompassing multiple counties, including 26 in the Chicago metropolitan area. Medicare only covers spinal adjustments that are medically required. However, for the purpose of this demonstration project, coverage was expanded to include diagnostics, x-rays and other services, such as rehabilitation and physical therapy. Patients included in the study were asked to rate the chiropractic care they received on a scale of 1 to 10. An astonishing 87 percent graded their experience at 8 or better. Fifty-six percent of those rated their care at a perfect 10. When asked how long they had to wait to see a chiropractor, 95 percent reported they had an appointment within one week of calling. One of the greatest benefits most patients reported was that chiropractors spent more time listening to their health issues. Combined with their relief from pain symptoms and overall satisfaction reported by patients, the ACA is creating a task force with Medicare and research experts to create a report for the Centers of Medicare and Medicaid Services. This report will try to increase chiropractic coverage to reduce the burden of costs on Medicare. Here is the bottom line in chiropractic care — if you’re alive and living with nerve interference, you’re better off alive without nerve interference. Chiropractic Lifecare of America can save you up to 50 percent on quality chiropractic care. 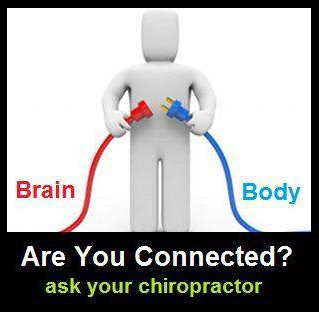 Call 800.775.7900, or visit our website to learn how our chiropractic network can help you today. Next post: CLA Update: Chiropractic Fallacy or Fact?